This is a lovely missing her picture speaking about how love considers the distance between the couples. 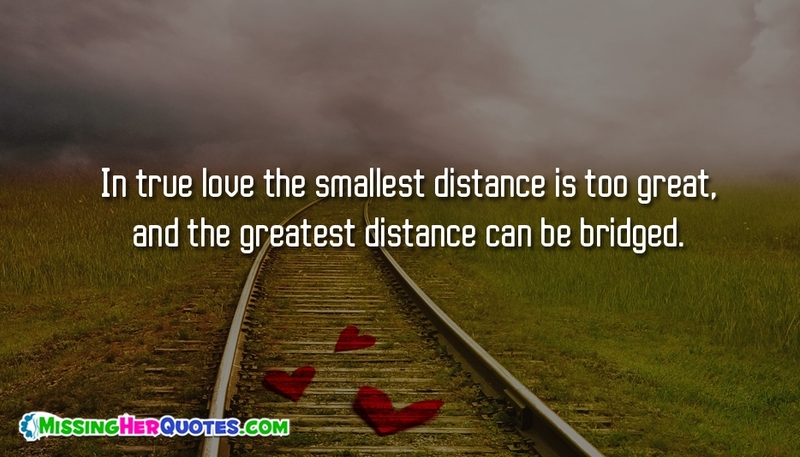 Love knows no distance. Any distance is same for the lovers. When your love is away from you, you miss her, either it be a mile or a thousand miles, and this distance could not separate your souls. This cute feeling of missing her is beautifully expressed in this picture with the words "In True Love, the Smallest Distance is too Great, And the Greatest Distance can be Bridged".